The weekend is upon us and, for those in the UK at least, time to look forward to a glorious Bank Holiday. On Sunday, I will be giving myself a reprieve from work and revision (yes, exam time is upon us once more), to celebrate the beginning of The Globe’s 2013 Season. Because it is, indeed, that time of year when the oddballs among us emerge from their caves and exchange £5 for the opportunity of standing for 3 hours to watch Shakespeare’s plays come to life. But trust me when I say that the aching back, the inevitable downpour of rain on your exposed head, and the crick in your neck from obviously ending up stood behind the world’s tallest man, are all worth it. After some amazing experiences last year (highlight 1 – Mark Rylance in Richard III; highlight 2 – everything about Henry V), I am beyond excited for this season. Sunday’s production of The Tempest is probably my most anticipated, with Colin Morgan (yes, BBC’s Merlin!) featuring as Ariel. Although, with my most recent theatre trip to The Tempest featuring Ralph Fiennes as Prospero, the competition is obviously fierce (but I’m quite sure that all actors will continue to sleep easy at night, regardless of my opinion). Anyway, my mini-Shakespeare exultation over, we can move to the more serious business of this week’s Just for Fun Friday. The story behind this post is my massively fortunate discovery of the book Poisoned Pens: Literary Invective from Amis to Zola edited by Gary Dexter, whilst on my Bronte Pilgrimage in Haworth. It is from this fantastic collection of immensely insulting and completely fabulous extracts that I have picked my favourites for your enjoyment. Because writers are people too. 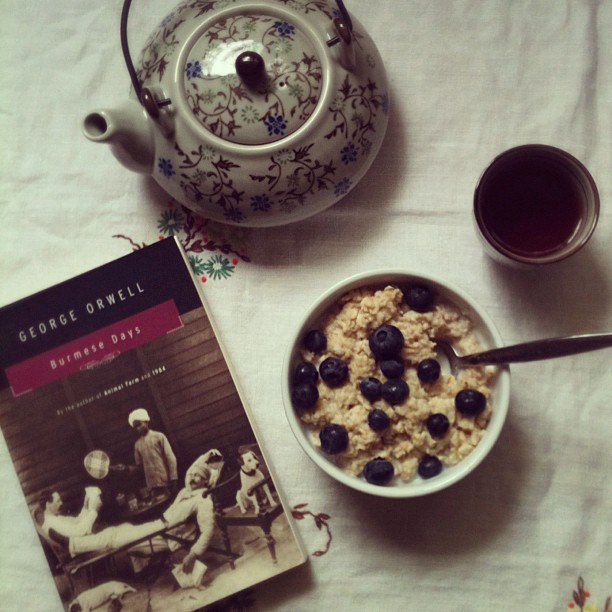 Wishing you a weekend full of tea, porridge, and plenty of books!